Can you identify antique furniture? 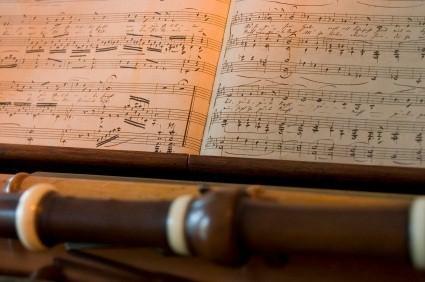 An antique sheet music cabinet is an excellent way to store all kinds of papers and files in your home. The shelves are shallow and allow the antique collector to easily store not only sheet music but also any flat object. During the mid part of the 19th century technological advances made people's lives easier than they had ever been before. This allowed society to enjoy a new freedom to pursue recreational time. The Victorians became passionate about the arts. It was considered important for young ladies to be able to paint, recite poetry, and play the piano. Often family and friends would gather around the piano in the evening and sing along together. With time to explore music, the well equipped household needed something to store the music in and so the sheet music cabinet became a necessary furnishing in most music rooms or parlors. It allowed the music to be protected while still giving the pianist access to a variety of songs from hymns to the popular music of the day. Most cabinets available today were made in the Edwardian era, between about 1895 and 1915. Antique sheet music cabinets can be found in a variety of sizes, styles, and finishes. Most will be about 40 inches high and about 24 inches wide. While most sheet music cabinets have doors that pull open like any other cupboard door some designs feature doors that pull straight down. The top surface is flat, often with a decorative treatment around the edge. The Victrola would sit safely on top while the records were stored underneath. If you are looking for an antique sheet music cabinet you are not alone. The cabinets are very popular because they are so versatile. Here are some ideas for using a sheet music cabinet in your home. The size makes them great candidates for turning into a single bathroom vanity. Because of the depth of the cabinet the pipes are kept out of sight easily as well. The shelves will need to be removed to make room for the plumbing. If you decide to use a cabinet in this way always check with an appraiser to be sure that you are not ruining a very rare antique in the process. Filing papers is a tedious job and filing cabinets are often more utilitarian than decorative. A vintage sheet music cabinet can make an office a little more charming or add a nostalgic touch to the craft room. Once you find the perfect cabinet and get it home treat it carefully, as you would any other antique. Keep it out of direct sunlight and dust it often. Rubbing a little lemon oil or beeswax into the wood will help keep it moist and in good condition.About once or twice a year you should check the cabinet for loose joints and other problems that may occur. Fixing them promptly will keep your cabinet looking great for decades to come.